Our Birthday Parties are fun and enjoyable for kids 5+. The parties running for 2 hours include 1.5 hours of fun games and circuits. 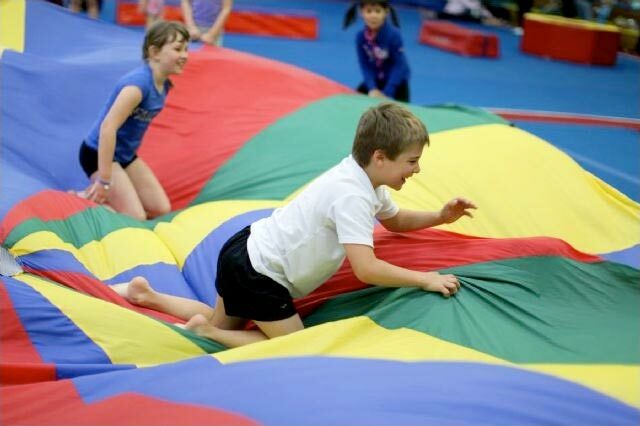 These circuits include use of our trampolines, ropes, rings, bars and our large sprung floor. They also include 30 minutes at the end for eating. We ask you to supply all of the food, and a fully equipped kitchen is available to you to use. The children must bring socks in order to play on the Trampolines. We supply a minimum of 2 coaches per party. Why have a Gymnastics Party at Nunawading Gymnastics and Sports Club??? AND the Birthday boy or girl flies in our magical bungie!! Please call us on 9872 5447 to book you party now! Parties cost $22 per child. min 14 children. A deposit of $50 is required to confirm your booking. To further inquire about specific dates for availability, to book a party or if you have any general questions please contact us on (03) 9872 5447 before 6pm on weekdays.